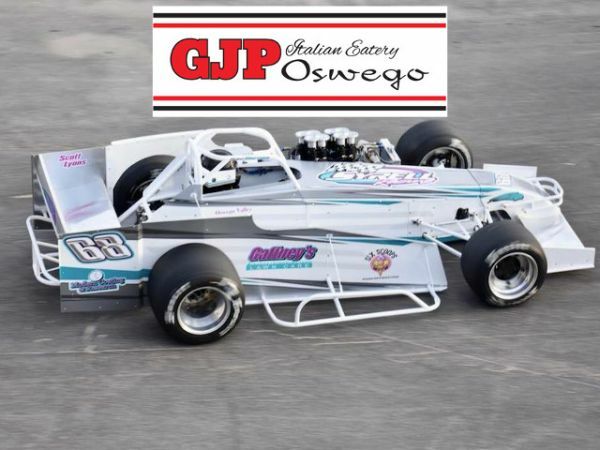 Syrell Racing is pleased to welcome GJP Italian Eatery of Oswego on as a partner for the 2019 Supermodified campaign at Oswego Speedway. Specializing in pizza and sandwiches, GJP Italian Eatery of Oswego is a family-run restaurant, owned and operated by Larry Miller. Located within walking distance of Oswego Speedway at 140 State Route 104 in Oswego, GJP Italian Eatery of Oswego was founded on years of hard work and education in the ways of making a great pizza, with outstanding service and fair pricing in mind. GJP offers a host of specials and a large menu featuring pizza, sandwiches, wings, salads and much more. An all-new expanded dining area is now available with take-out, delivery and catering options also available. Order online today at www.gjposwego.net, call (315) 207-1000, or visit GRUBHUB. 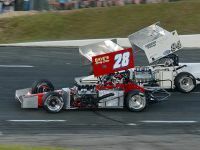 Be sure to LIKE GJP Italian Eatery Oswego on Facebook at www.facebook.com/GjpOswego. GJP is open from 10 a.m. to 9 p.m. Monday through Saturday and from 11 a.m. to 7 p.m. on Sunday.